Create a textured painting with Sarah Henry of Redeemed Home Goods. 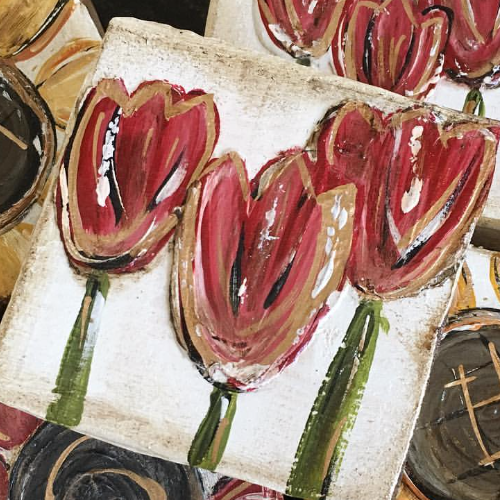 Come learn how to paint a Redeemed Home Goods Tulip!! Sarah of Redeemed Home Goods is helping us usher in Spring with Tulips! We always have such a great time with Sarah and are very excited to be welcoming her back to teach us again. Class will be approximately 2 hours. Cost is $50 per person. Some refreshments provided, as always you are welcome to bring your own in addition.